35 Kilometres of Cross Country Trail… experience the magic through the snowgums and out to the beautiful plains taking vista views of Hotham covered in snow. A fun-filled family day out exploring the extensive cross-country trail network that meanders around the village, or if you’re feeling adventurous take on the 10km journey between Dinner Plain and Mount Hotham. Marked trails wind through a woodland of snow gums and are a unique an memorable way to experience the high country. There is no fee to use the cross country trails and they are groomed regularly. Trails range from beginner to advanced. During the snow season, trails are groomed from June until September and are suitable for cross country skiing and snow shoeing. In good weather a fit person can cover 3 kilometres an hour. Remember to make allowances for long steep climbs, photography and rests. Carry plenty of drinking water. Please note that Fitzy’s Cirque and Collector’s Cirque are multi purpose trails. 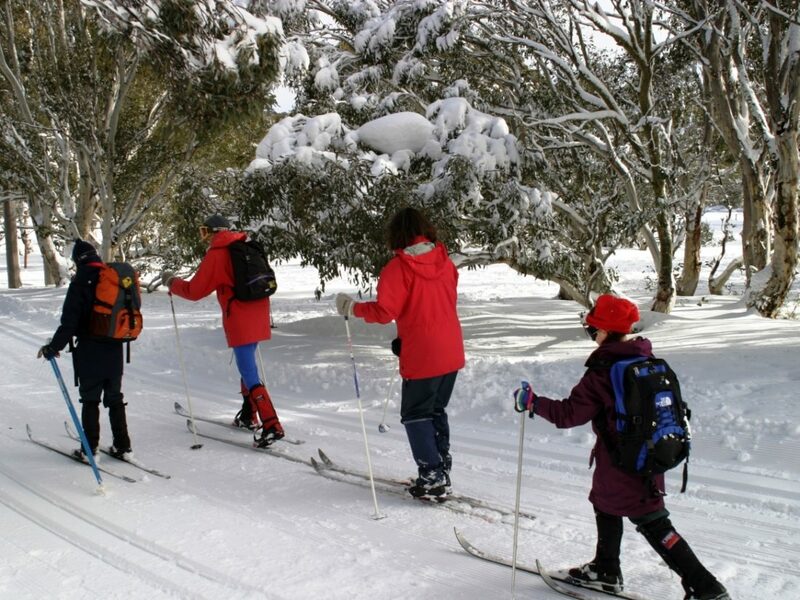 Enjoy a cross country ski between Dinner Plain and Hotham through snow gum woodland and scenic plains. 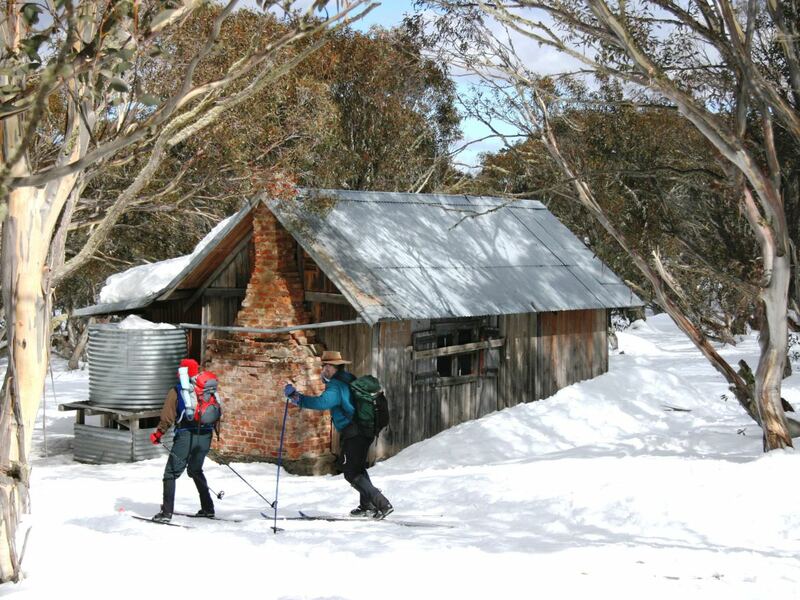 The iconic cross country trail runs parallel to the Great Alpine Road and via the cattleman’s hut, JB Hut (link to JB Hut). Hotham-Dinner Plain Trail (over 10 kilometres one way) The trail is groomed regularly from Hotham to Dinner Plain dependant on snow conditions. A sheltered and undulating and suitable for a wide range of interest groups, experienced families to anyone training for long events. Skiers can travel back via Hotham-DP bus service (fee payable). For a Map of the the Cross Country Trails and Hotham to Dinner Plain view brochure. Enquire at Dinner Plain Accomodation providers or Hoys Ski Hire. This offices also has copies of Dinner Plain cross-country ski trail maps for free. 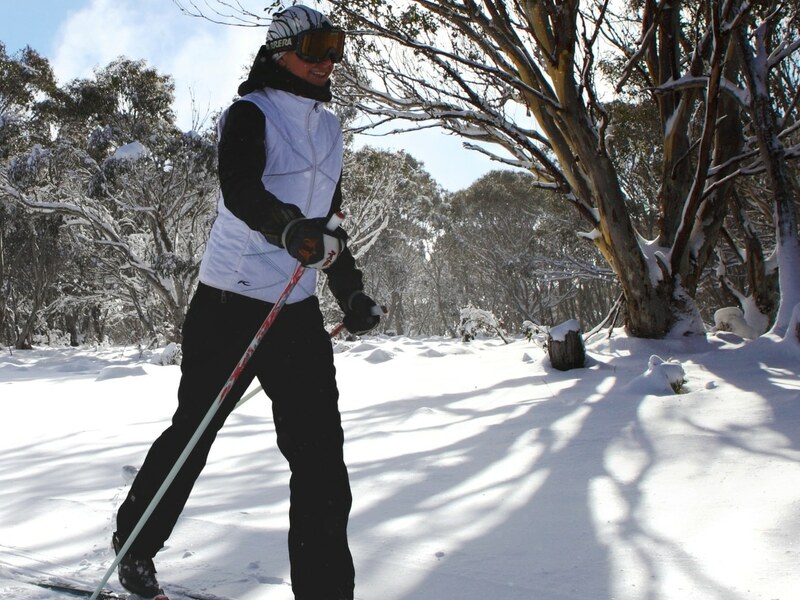 For more information contact the Mt Hotham Resort Management Board on 03 5759 3550. Or visit their reception opposite Hotham Central to pick up a copy of Hotham cross country ski trail maps for free.